Bowl Expo ended a week ago…although it seems a long time ago and the one thing I learned is that more and more proprietors are looking to either take out lanes an put other attractions in or turn 8 of their 32 lanes into “boutique lanes,” adding more games as well as adding laser tag. Why are they doing this? Because other proprietors are and you hear the numbers and want to do it too. But should you? I saw a study that concluded that only 800 centers in the country have the demographics for this kind of evolution into a FEC or BEC, yet I still hear people say that if they do it, it will be a “gold mine.” Maybe it will. Maybe it won’t. There is an area in the Bronx that is called “the 2nd Little Italy of NYC”. It is filled with wonderful stores, shops and mostly great restaurants. 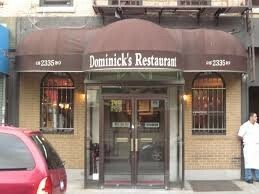 On Sundays, people line up at 1130 a.m. to come to Dominick’s restaurant; it is a mainstay in the neighborhood for over 75 years. They come from miles away. They come after they have moved away. They bring their children and grandchildren. Because this restaurant stands for something. It stands for the nostalgically warm and happy feelings the customers get from the moment they walk into Dominick’s. Even the new comers. Better to first try to create that feeling before you spend a couple of million bucks. P.S. If you’re ever in the Bronx, you should try it sometime.